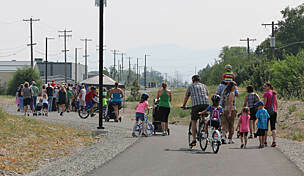 As its name implies, workers completed much of the on- and off-road paved trail between 1989 and 1991 during Washington State's 100-year celebration. 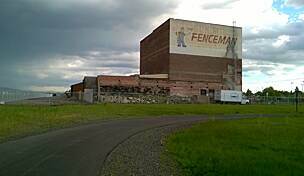 Spokane served as a railroad crossroads, and the inactive rights-of-way and trestles of the old Spokane & Inland Empire Railroad Company and Great Northern Railway contributed to the trail corridor. Efforts continue to this day to replace road shoulder sections, and 34 of the 37.5 miles are classified as paved, off-road. 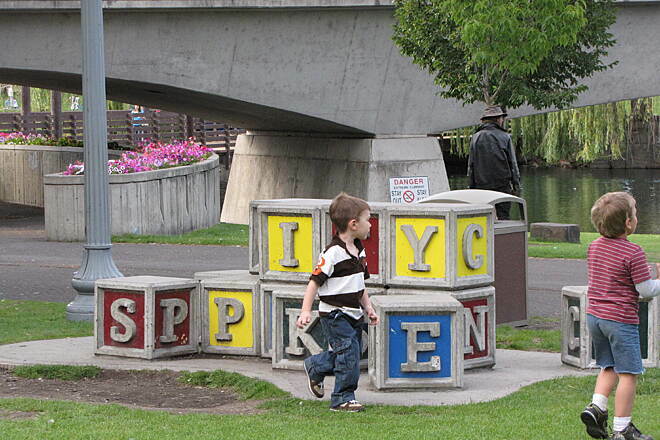 The 100-acre Riverfront Park in Spokane, designed for the Expo '74 world's fair, is the trail's midpoint centerpiece. The unique amusement park's century-old, hand-painted carousel blends with the urban area's natural beauty and history—reflected in bridges, dams, turn-of-the-19th-century buildings, and the old rail depot clock tower of 1902. 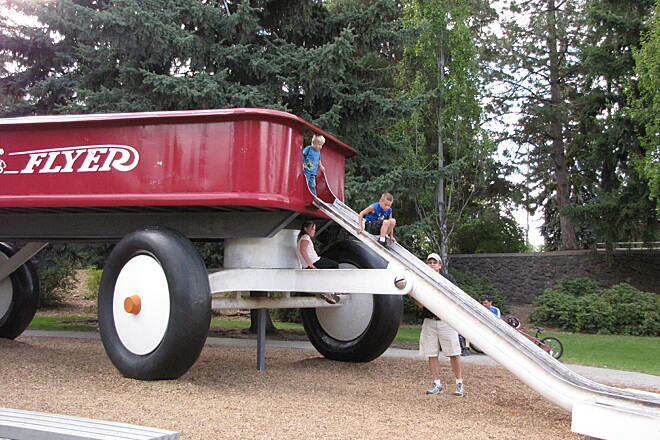 The downtown park is a great point to launch explorations to the east and west. The western section is more wild and rugged as it passes through Riverside State Park to the trail's end at Sontag Community Park at Nine Mile Falls. 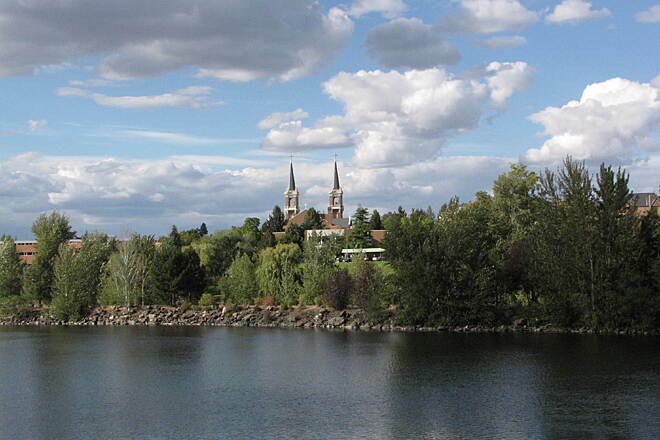 The eastern segment passes Gonzaga University and continues through a more populated region on much easier terrain. 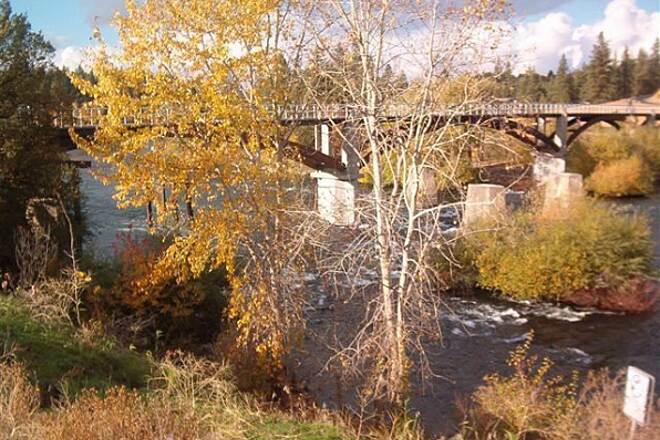 It ends at the Idaho border, where it meets the 24-mile North Idaho Centennial Trail. Drinking water, supplies, and services are limited throughout. 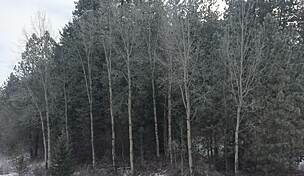 Though the climate is hot and dry in the summer, snow and freezing temperatures are common in the wintertime. 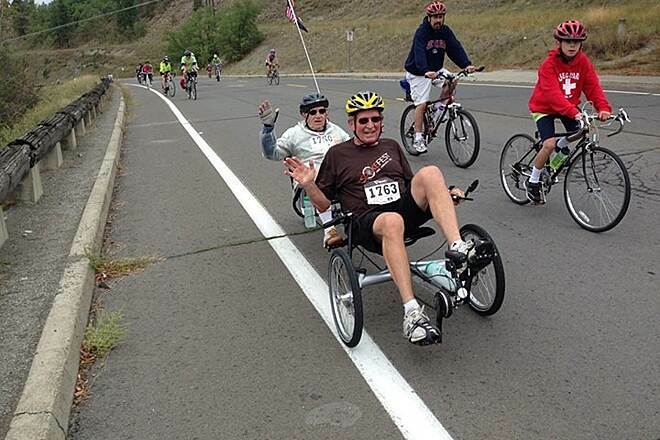 This hilly, winding route parallels a remote section of the Spokane River. 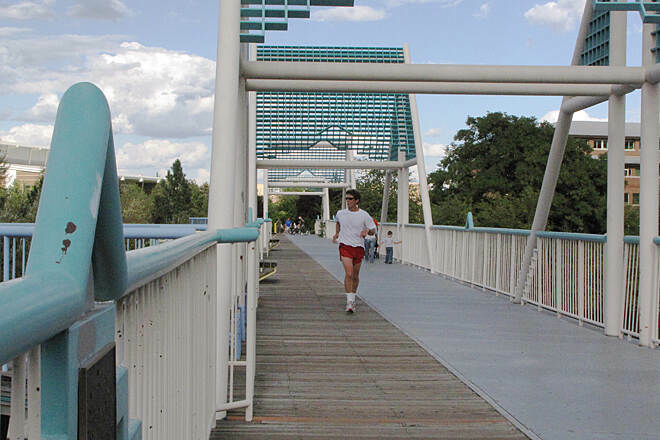 Leaving Riverfront Park, cross the N. Post Street Bridge, turn left onto W. Bridge Avenue, and look for the trail that heads left and passes beneath N. Monroe Street and beside an overlook for Lower Falls. If you pause here long enough, you’ll undoubtedly see yellow-bellied marmots scurrying among the rocks—an unusual sight in an urban area. Stay on the new section of trail past a scenic overlook to the shoulder of Summit Boulevard, and follow Summit Boulevard to NW Point Road on the left. 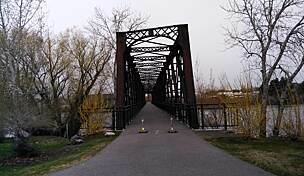 Continue left onto N. Pettet Drive, and then pick up the trail again to cross the river on the N. T. J. Meenach Drive Bridge. 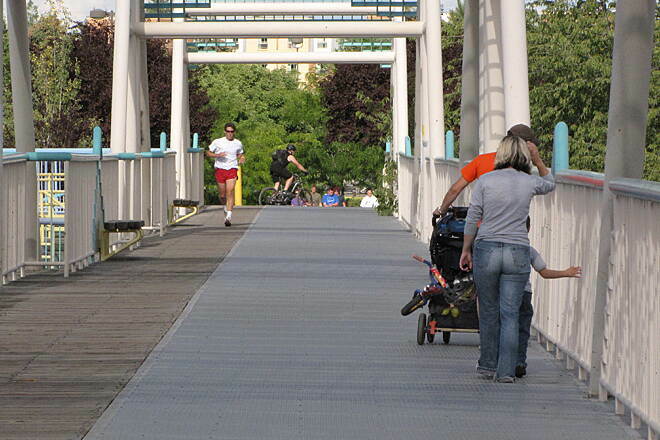 Equestrians are permitted to use the 10-mile section of trail that runs through Riverside State Park (between Sontag Community Park and the bridge). 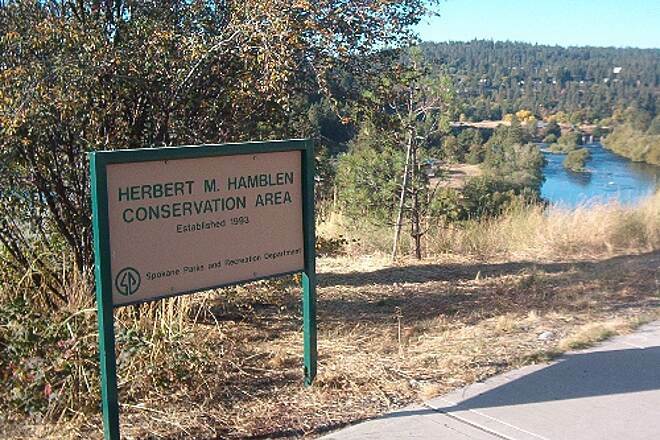 The trail wanders through hilly terrain, young ponderosa pines, and the Riverside State Park Equestrian Area. Striking rock formations can be seen at the Bowl and Pitcher overlook. A suspension footbridge crosses the river rapids in the park for a short hike. Back on the main trail, a basalt ridge rises overhead. Farther on, remnants of a circa 1933 Civilian Conservation Corps station can be seen at Camp Seven Mile. A brief flat section and scenic crossing of Deep Creek Bridge precedes the hills near the turbulent waters below the dam located in the Nine Mile Falls community. 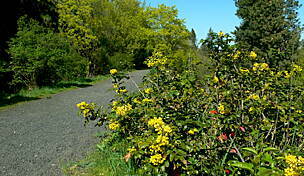 The trail ends just ahead at Sontag Community Park. 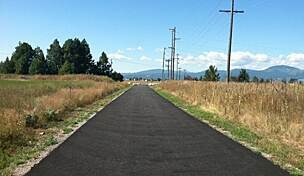 A 1.7-mile trail extension from Sontag Community Park into the Nine Mile Recreation Area is scheduled for completion in 2015. 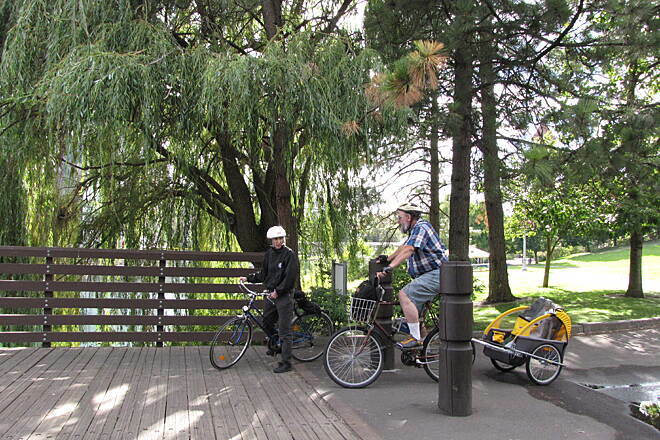 This route leaves Riverfront Park by heading east past the Looff Carrousel. 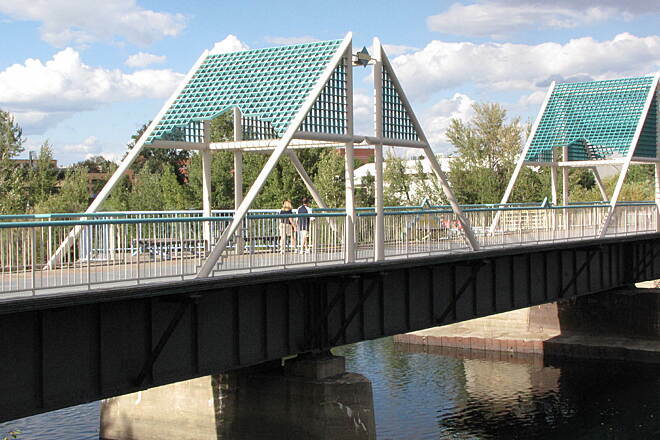 It crosses the Spokane River at the Don Kardong Bridge and passes through the Gonzaga University campus. 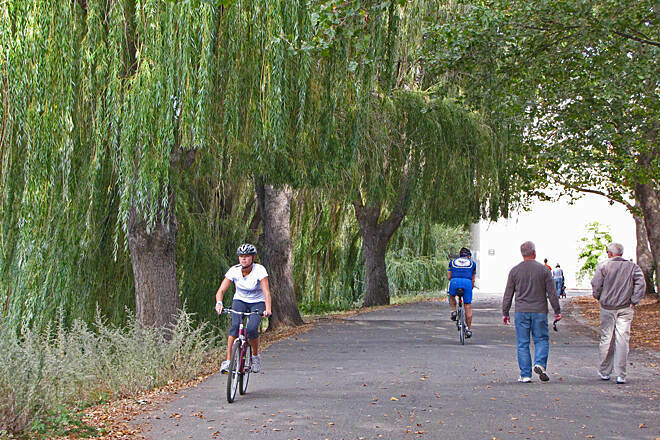 After crossing E. Mission Avenue, the trail follows this serene section of river through the suburbs and into Spokane Valley along E. Upriver Drive. There's a slight uphill grade as you head east along the pine-speckled, arid landscape all the way to Idaho. Parts of the trail are on the road shoulder. 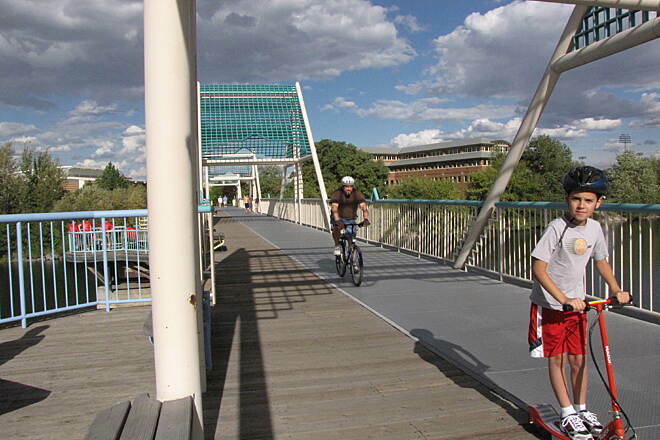 Plenty of recreational activities exist along the river. Just past the Upriver Dam, the trail enters John C. Shields Park, where rock climbers hang out at an outcrop called Minnehaha Rocks. About a mile upriver is Boulder Beach; scuba divers enter the river here to explore submerged rocks. 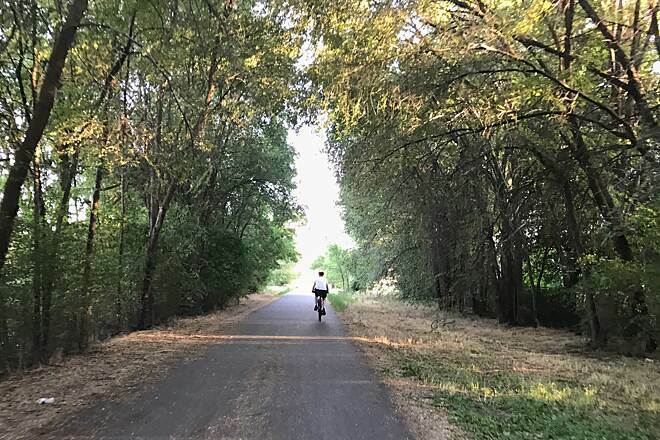 The Centennial Trail route regains the road at Camp Sekani Park, crosses N. Argonne Road, and turns right onto N. Farr Road to E. Maringo Drive, where the trail resumes (parking and restrooms are located here). The trail crosses the boulder-strewn river on a pedestrian bridge and enters a somewhat remote area to Mirabeau Point Park, where wildlife might be seen in the sparse forest or along the river. 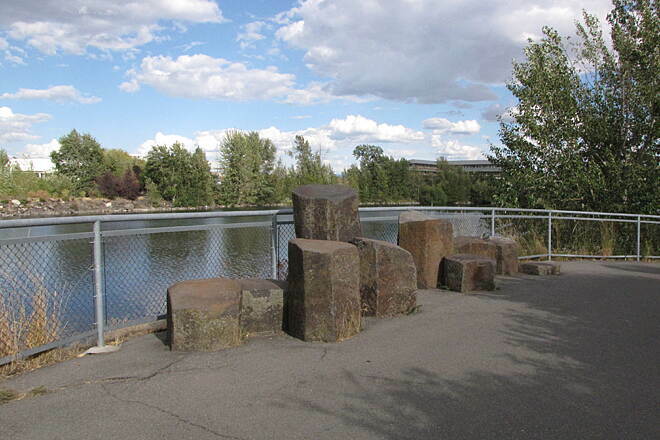 The trail hugs the river as it passes Spokane Valley Mall and remains on the south shore all the way to Gateway Regional Park on the Idaho border. 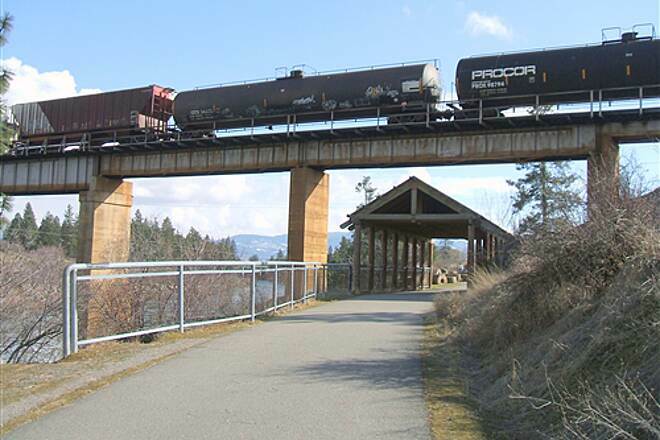 From here, the trail passes underneath Interstate 90 and continues east for another 24 miles as the North Idaho Centennial Trail to Lake Coeur d'Alene. 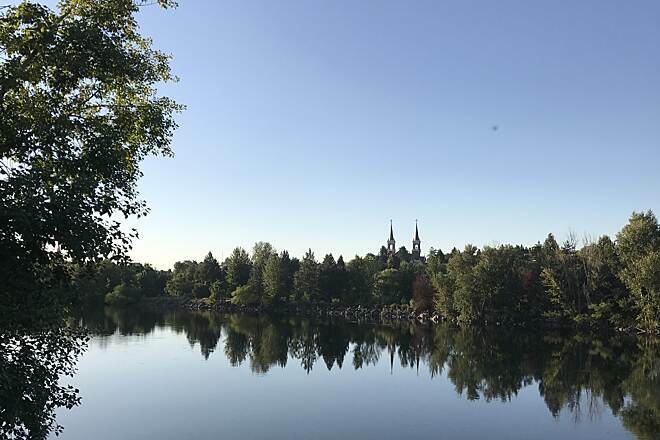 For Riverfront Park access from I-90 W, take Exit 281, and follow S. Division Street north for 0.7 mile. 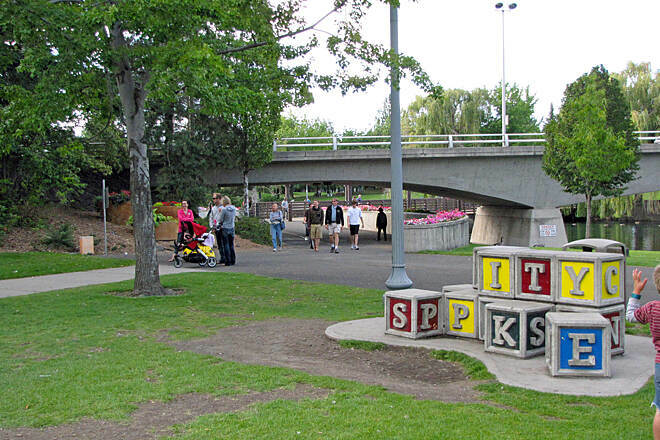 Turn left onto W. Spokane Falls Boulevard. From I-90 E, take Exit 280, and follow W. Fourth Avenue for 0.8 mile; then turn left onto S. Washington Street and go 0.5 mile. Look for parking in lots on the left between N. Browne and Howard Streets. For Sontag Community Park access from I-90, take Exit 280 toward S. Walnut Street and head north for 0.5 mile. After Walnut becomes Maple Street, continue another 1.4 miles, and turn left onto W. Northwest Boulevard. After 0.7 mile, turn right onto N. Cochran Street, which becomes N. Driscoll Boulevard. At 2.6 miles, continue straight onto W. Nine Mile Road at the intersection of W. Frances Avenue. 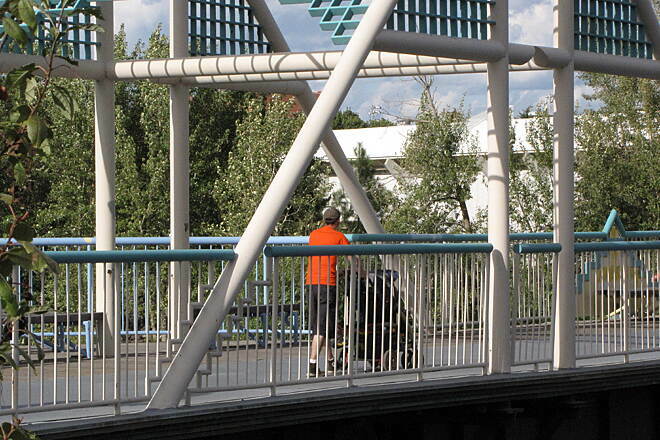 Go 6.1 miles, and turn left at W. Charles Street, cross the river, and continue to the park. 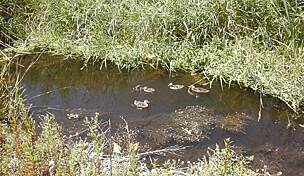 To reach Gateway Regional Park at the Idaho border from I-90, take Exit 299 toward the state line, and turn left onto N. Spokane Bridge Road. The park is directly ahead. 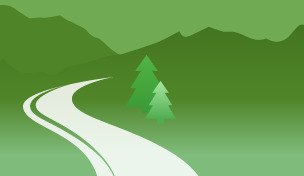 Discover Passes are required at Washington State Parks. Equestrians may park at the former stables in Riverside State Park. 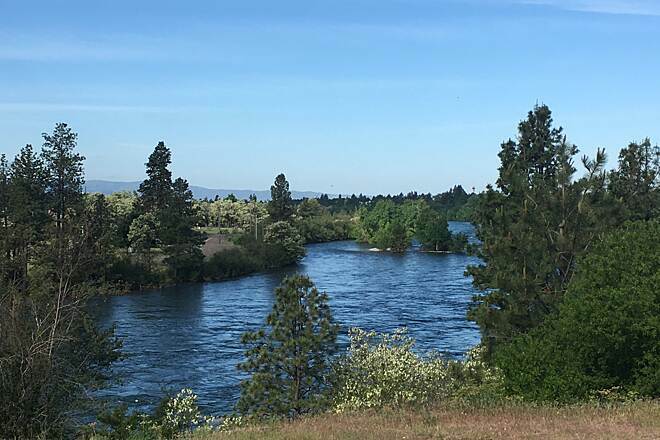 The Riverside section of this trail sounded great on paper; a curving off-road trail leaving Spokane, traversing in and out of the woods and ending at a state park. We found a parking lot across the bridge from the beginning of the off-road trail but it only had one car in it with a recently shattered windshield (the glass was still on the pavement). We headed further west to another trailhead and found that it cost $10 for a state parks entrance fee to park there, plus a sign warned of frequent thefts from cars parked there. Plan B: we went to the east end intending to ride along the river. That section didn't look too scenic as we drove through town, and we arrived on the state line to find that the parking lot was bisected by a chain-link fence, and at this lot even the trail sign had been stolen! At least we had time to replace my wife's saddle at a terrific shop in Post Falls, ID next to a purveyor of locally produced honey. It was a sweet ending to a sour experience. 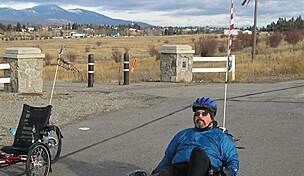 My wife and I booked a four day trip to the Northwest to ride rail trails in July 2013. 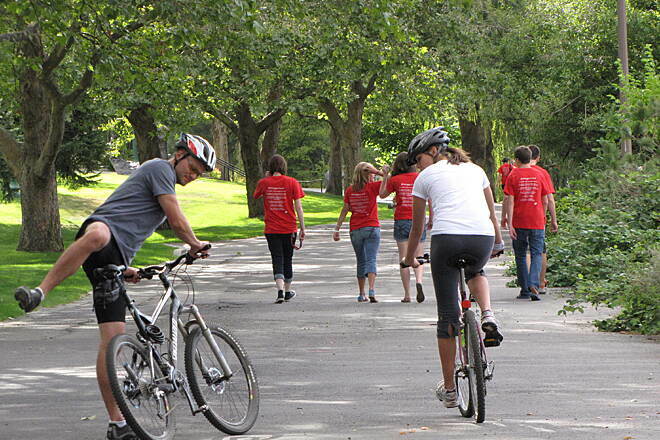 On our first day, we attempted to ride out to Sontag Park. The "trial" started with a bike lane on a very, very, busy highway. When we finally arrived at the "trail" it was simply a paved trail, with no water stations and had very, very, steep sections--not a rail trail at all. The next day we were similarly disappointed in riding along only a bike lane on busy highways, in many places, to the Idaho border. Many sections were not clearly marked and we got lost at least once. The scenery was only average. Certainly not worth the airfare. This Trail is awesome and has been around for 20 years. Along the Spokane River from West of Spokane, Wa to Cda, Idaho going East. Great views and fun for all skill levels. 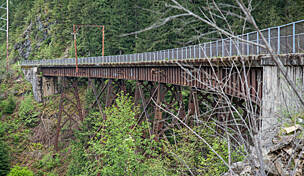 "My wife and I have ridden this trail many times, mostly on the eastern end. It is paved, well marked, wide, and safe for all levels of riders. The access is easy from many spots, even several motels right next to the trail so you can ride and stay. Most of the eastern end is flat, only hilly streatches are on the west end, but that is the more forested end too. Keep riding east and you can go all the way to Coeur D Alene, Id. 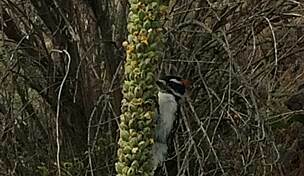 on the paved bike trail." 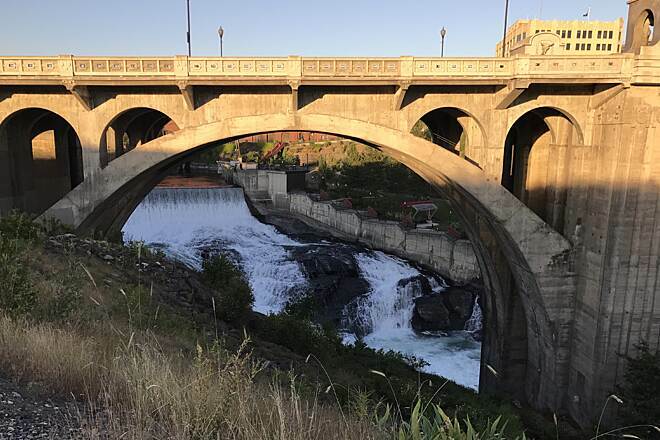 "I hiked a 12-mile section of the Spokane River Centennial Trail from east of Spokane through the city to about a mile west of the city in December 2001 as part of my training for a half marathon. 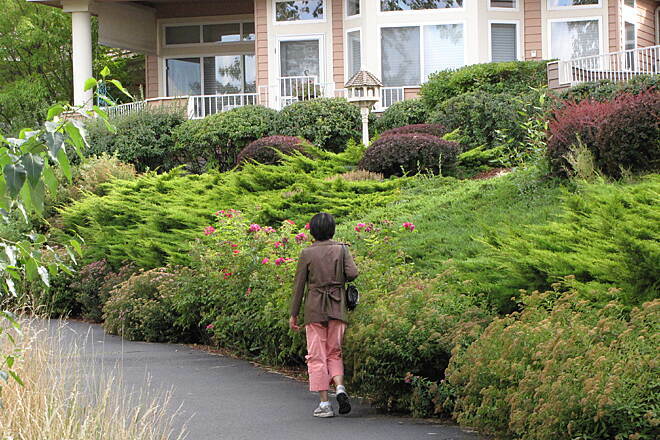 Because it was such a long walk, I did it alone, but felt perfectly safe and comfortable. It was beautiful, walking along the river, interesting going through the city, and on the western edge, I was rewarded by having a bald eagle fly quite near me. I was also happy to find restrooms available for use even in late December." 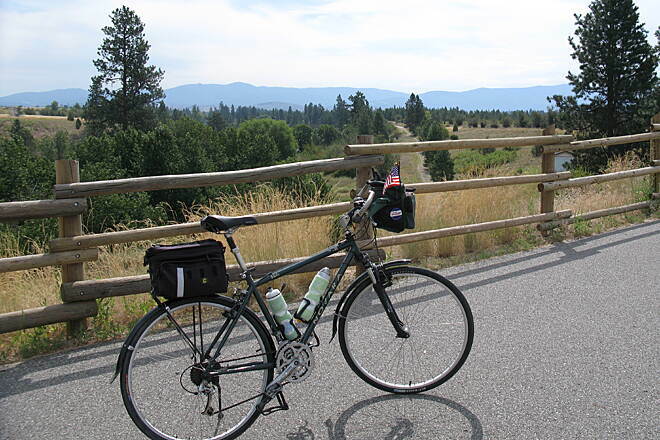 "We tried this trail, the North Idaho Centenial Trail, the Trail of the Coeur d'Alenes, the Northern Pacific route over Lookout Pass and the Route of the Hiawatha together to make a great week long tour. 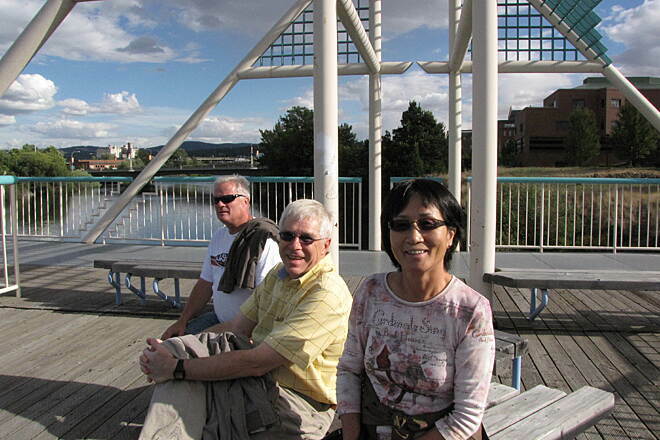 We started and ended in Spokane. It was one of the best weeks I have ever spent. 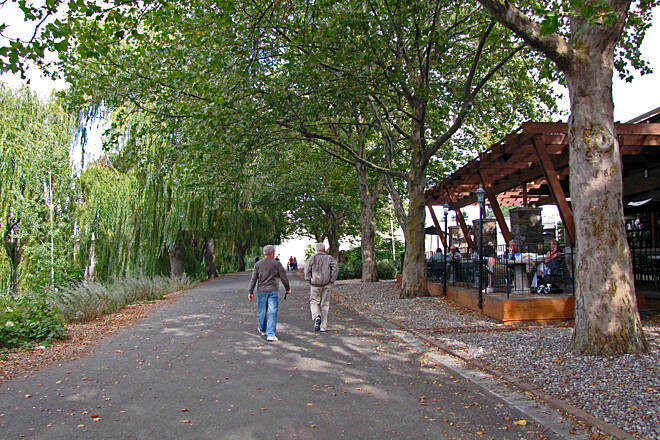 The only problem with the Spokane River Centennial Trail was confusion in Riverside Park. The trail is not well marked in either direction, there are lots of bike lanes but no indication of which are part of the trail you are on. A nice way to spend a day. From 9mile Falls through Riverside State Park is absolutly beautiful.Near south entrance of park trail goes left into a depression that in summer time is nothing more than a heat sink.I prefer to stay on main road and turn left on Government Way(very wide shoulders light traffic)you will be treated to wonderful views of the Spokane River gorge as it streches off to the N.N.W.Rejoin trail at Old Military Cemetary for a nice 2 mile down hill(use caution some parts are steep).Cross T.J.Meenach bridge turn left and climb 1/3of a mile into residential area of Spokane.Signage for trail disapears at this point so find your own way to Riverfront Park where trail continous East into Spokane Valley.From Boulder Beach (M.P.16) to Farr Rd. (M.P.14)you have shoulder but it is not very wide depending on traffic volume it may seem rather hairy at times.Once you are on Farr Rd.things return to peace and quite turn left on Maringo to rejoin off road portion of trail and the river.From this point to Harvard Rd you pass through wooded areas that are pleasant(in the early spring there is a portion between Barker Rd and Harvard Rd that has Syringa bushes on either side of trail when in bloom they are very pretty).From Harvard Rd to Idaho Line prairie land with good views of the mountains in Idaho.